That's true. And they can have deep meaning too. i like that ..... the saying and the artwork. Cute! I've never played with washi tape. Definitely something I need to explore! I want to play with the tape bits - how fun! Right! I love the way you have chosen. So fresh! So true! What a cool collage! ♥! and the new wolf: ♥! 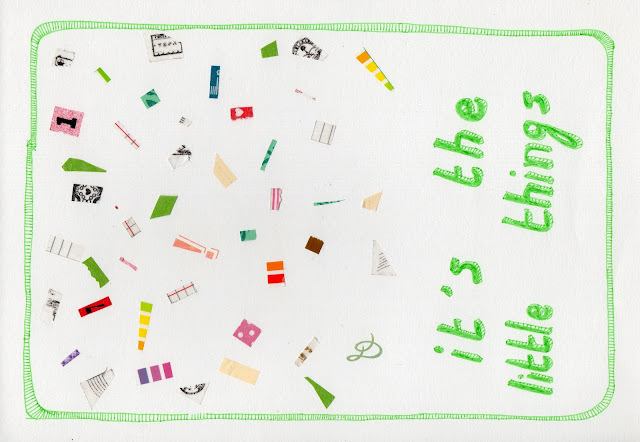 i like the little things idea! And washi tape, it seems like something that can be from the shop I once dreamed of that you were running!! and the world feels BIG when theres such room to play!! little things can be big fun!